John Cena has sold a ton of merchandise in his career, but no shirt might have outsold the classic nWo design from WCW. 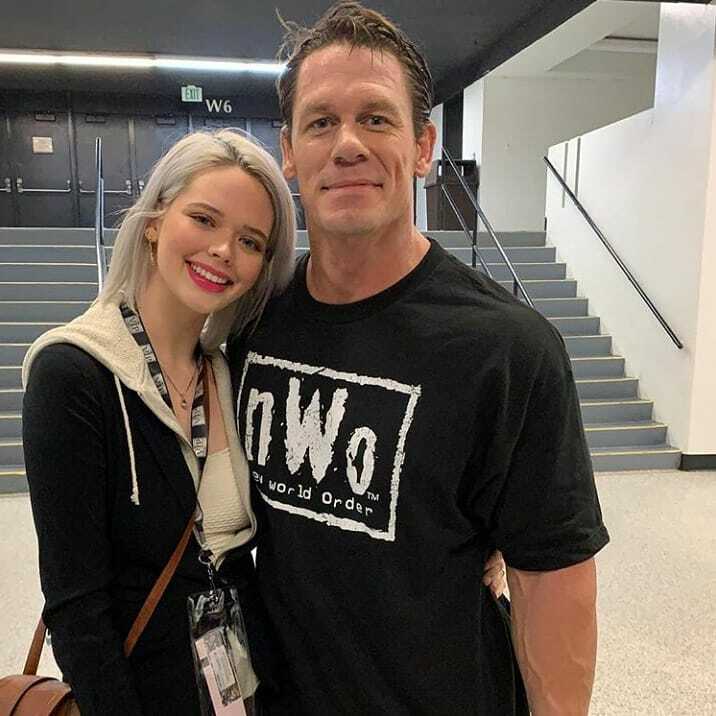 It looks like Cena could be joining the ranks of Hulk Hogan, Scott Hall, and Kevin Nash as well if his newest fashion choice is any sign of things. Cena recently returned to action for WWE at the Madison Square Garden house show and had a great introduction by Vince McMahon himself. He is going to pop up on television a few times too before going back to Hollywood too. Some fans were lucky enough to bump into Cena recently and he obliged a photo-op. What caught our eye is the fact that he’s sporting a classic nWo black and white t-shirt. It’s a good look for him, we can’t lie and makes us wonder what kind of storylines WWE could have cooked up if they would have realized how good he looks in one of those t-shirts.